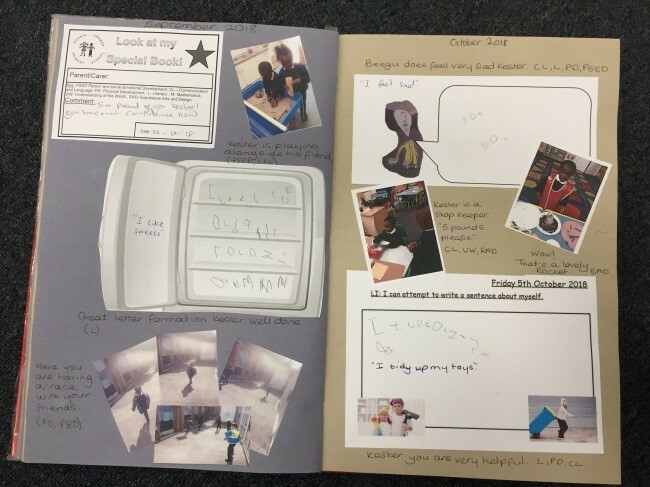 Every child in EYFS has a ‘Special Book.’ These scrapbooks contain children’s best independent work and photos of key learning moments. 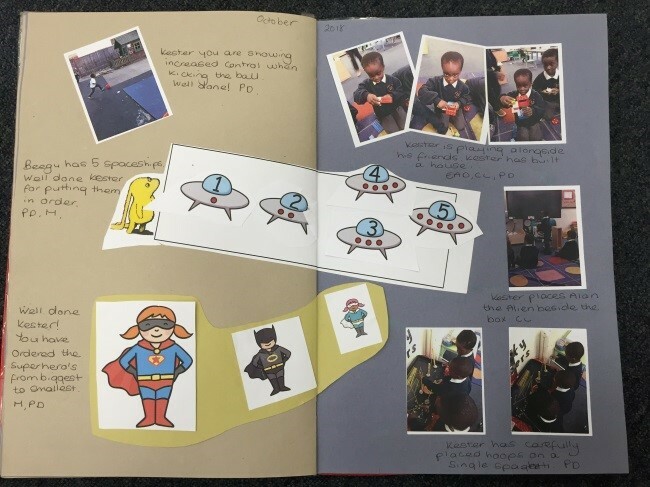 Your child’s key adult annotates your child’s special book to ensure that you can understand what learning is taking place. 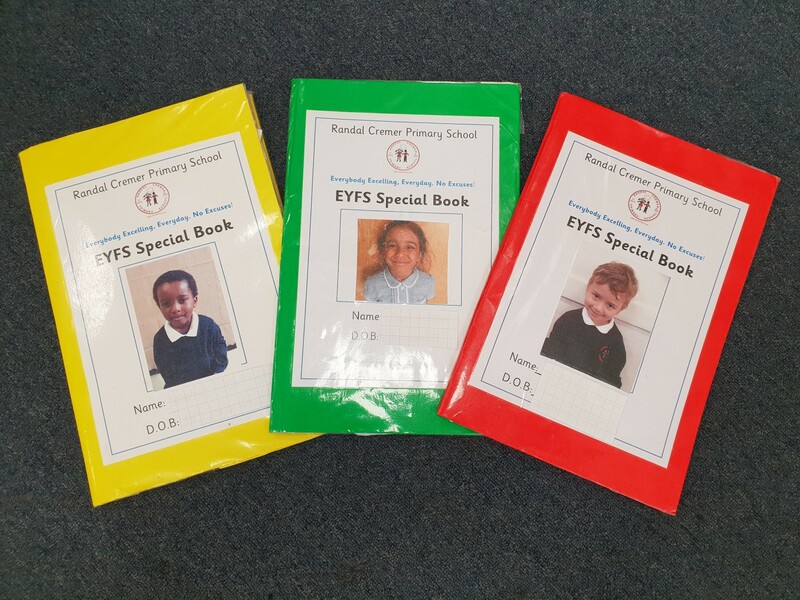 The books are accessible to children in the classroom so that they can look at them whenever they want. We also record children’s own ideas in blue pen in the books. The adults in EYFS update the books over each half term and in the last Parent Reading of term we put out all the Special Books for the children to share with you. If you cannot come to this session that is no problem, you can arrange another time to come and see your child’s Special Book. 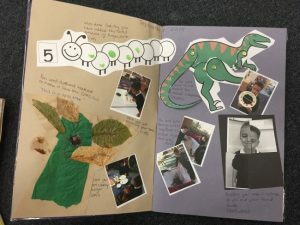 Another way we record key learning moments for our children is using our online journal program, Tapestry. 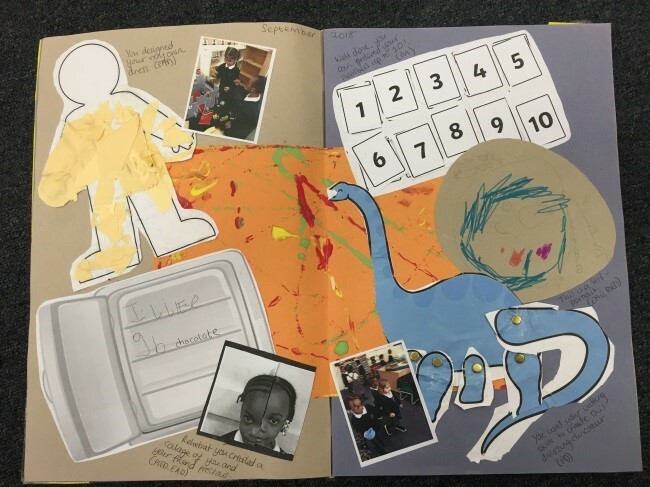 This allows us to take photographs or videos of children individually or in groups, write a short observation of what learning is taking place, and link the learning to statements from the document we use to assess children: Development Matters. Every parent can have their own login to Tapestry. 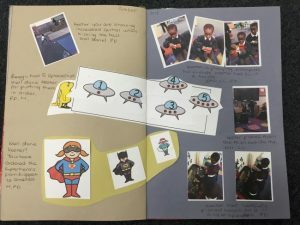 You may use this to login to read, like and comment on observations that have been added to your child’s journal. You can also use the program to add your own observations. 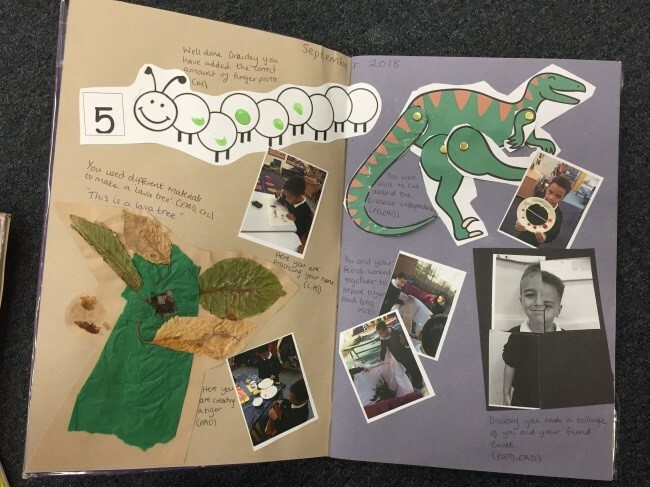 See the ‘Home Learning’ section for how you can use Tapestry to support your child’s learning.